If there’s one thing music fanatics absolutely loathe it’s when they’re getting comfortable in the train and ready to listen to some nice music—but then you suddenly see a familiar face and get forced into a conversation while you just purchased that really sweet new album. I personally have thought many times it would be amazing to be able to listen to music while still being able to hear my surroundings. Not only for the example above but also for being able to cross the streets much safer while still blasting some delicious Drum & Bass. Today we have an app that has some really revolutionary technology built into it—UrbanDenoiser Player by IT ForYou. Like the name suggests, this music player can completely control your music volume adjused to your surroundings and much more. Let’s dive into the review. Afer a really quick install and boot-up I was greeted by the beautiful design of UrbanDenoiser. A very slick and professional interface directly guided me to my music library installed on my iPhone and I was ready to test out the amazing features of this app right away. 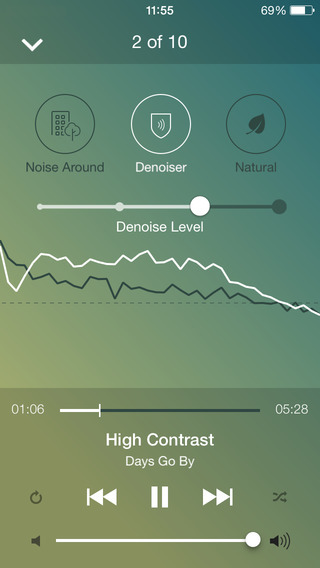 UrbanDenoiser makes use of your microphone to constantly test the volume of your surroundings, and it has a few options you can choose from to deliver you the best experience while listening to music. Before elaborating on the features, however, I’d like to say that the sound of this player is gorgeous and some of those low quality songs I got just sounded a lot crispier. 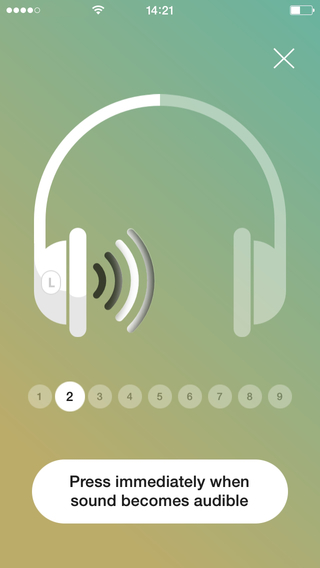 The first mode in which you can put the player is the Noise Around, which uses your microphone to test your surroundings and adjust the volume accordingly. I tried having a conversation while listening to the music and it works splendidly. Secondly, we have the actual Denoiser. The Denoiser cleans up your track and makes sure you are hearing the pure frequencies of the track. 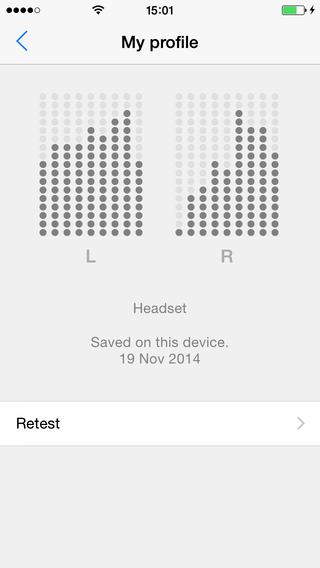 Lastly you have the natural mode which is guided by a hearing test, making sure the volume is always comfortable for your ears. Playing around with these features made me come to the conclusion that this player really can be used for every situation. 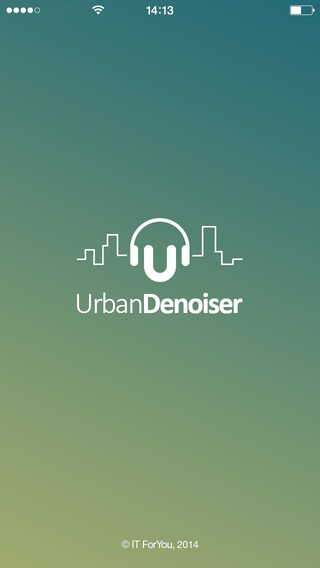 I loved my experience with UrbanDenoiser from the get go and while I sometimes don’t use one of the features at all it has quickly become my standard music player for the amazing quality it offers. There really isn’t a reason not to check out this free music player and I suggest you download it right away if you listen to a lot of music on the go.